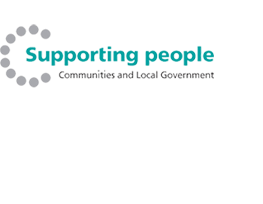 Harbour Supported Living Services Ltd provides support to vulnerable people who require some assistance to help them live in the community. This may be due to a spectrum of issues or vulnerabilities varying from older person support, mental health, learning disabilities or drug and alcohol misuse and much more. We also offer our CSCS service – this is known as the Care, Support & Companionship Service. "I like the activities that Harbour do, because it gets me out and about." “ I suffer from mental health problems and I can sometimes become really unwell, Harbour monitors me and make sure I am safe ". The service we deliver is of the highest standard, as we understand the importance of improving and maintaining quality of life. We provide support & care to meet the needs of others within the community, promoting health and well-being whilst recognising and developing the individual’s strengths and capabilities. We provide short term and long term, ongoing support to individuals in a shared housing environment or self contained flats across the Wirral Borough. Harbour Supported Living Services Ltd also has a professional and trusting relationship with local landlords and is therefore able to assist individuals in finding accommodation if required.